Home Final Fantasy VII Game History Video Games This Date in Game History: Final Fantasy VII Hits the U.S. 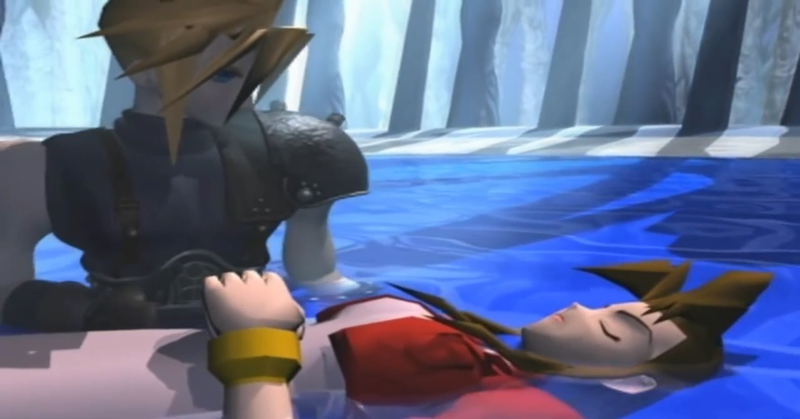 This Date in Game History: Final Fantasy VII Hits the U.S. When we, at ToonsShow.com think of Final Fantasy VII for the Sony PlayStation, we think of This Date in Game History. Released on August 31, 1997, there was a lot to like about Final Fantasy VII, which was the second best Final Fantasy game of all time behind Final Fantasy IX. But even though second place is the first loser, the game centering around Cloud and his unlikely band of heroes stands out to many as their introduction to turn-based RPGs and, thus, in the forefront of their FF memories. As far as that goes, gamers and genres could have done much worse. Commercially and critically, the game was a smash hit. To date, Final Fantasy VII has sold over 11 million copies according to Apple. On Steam, a relatively new service, 926,962 copies have been sold as of this writing. the Bahamut and Neo Bahamut materia. The number of unique weapons seemed endless. The ability to adapt those weapons using materia - orbs containing elemental and magical properties - added tho that depth. The ability to summon fantastical creatures ranging from the water-based Leviathan to the cosmic Bahamut ZERO to the imposing Knights of the Round made exploring the world around Midgar not only bearable, but transformed it into a must. Reading some of the reviews of the game, it's hard to find criticisms. The game scores a 92/100 on metacritic.com, a 300/300 from GameFan magazine and a 9.5/10 from GameSpot. Whether you're old enough to remember playing FF VII when it first came out or if you caught it much later, the signifance cannot be denied. Characters like Cloud Strife, Aerith Gainsborough, Tifa Lockhart and the iconic villain Sephiroth helped to fully legitimize not only a genre of games, but the Sony PlayStation as well. The game would go on to spawn a feature-length animated movie, Final Fantasy VII: Advent Children. In addition, the long-awaited current-generation remake of the game is slated to arrive for the PS4 in the next year or two.